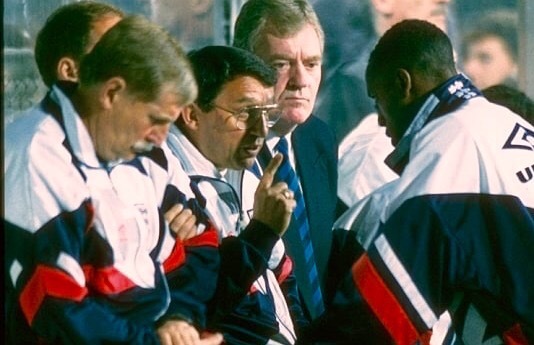 We were extremely sorry to learn yesterday of the death of former England manager Graham Taylor at the age of 72. 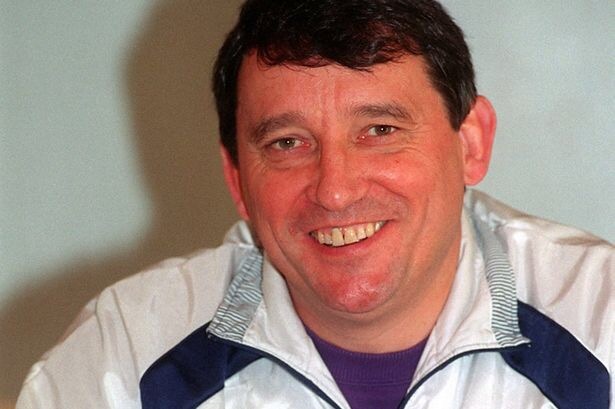 Graham Taylor enjoyed great success as a club manager with Lincoln City, Watford and Aston Villa – winning a total of seven promotions and coming close with the latter two clubs to becoming champions of England . His career included giving the first chance in professional football to such a talent as John Barnes. He was widely regarded as a nice man who made time to help people. And his co-commentaries for matches on BBC Radio 5 Live were enjoyed by many. And yet for some people, all that he would be remembered for was his three years managing England and writing him off as a downright failure because of it. Browsing one discussion forum yesterday , the first reply to a post about Taylor’s death was someone pointing out what an awful England manager Taylor was. No “but he seemed a nice man” or “but he did very well at club level”. Just bitterness and remembering ‘Turnip’ as a catastrophic failure when in charge of his country. Sadly, of course, Taylor failed to steer England to the 1994 World Cup – the only time they’ve not qualified for the tournament since 1978. Mistakes were made along the way including the tactical approach in certain games and some dubious team selections, as well as some of the old guard such as Peter Beardsley and Chris Waddle appearing to be sacrificed prematurely. Substituting Gary Lineker in the crunch defeat by Sweden during Euro ’92 attracted criticism from press and public, while Taylor would not enjoy the same rapport with Paul Gascoigne as either his predecessor or successor. There were much-criticised losses to Norway and the USA within days in June 1993. And the infamous fly-on-the-wall documentary about the World Cup qualifying campaign would do Taylor’s reputation few favours. Did he not like that indeed? But his reign wasn’t quite the all-out nightmare it is often portrayed as. 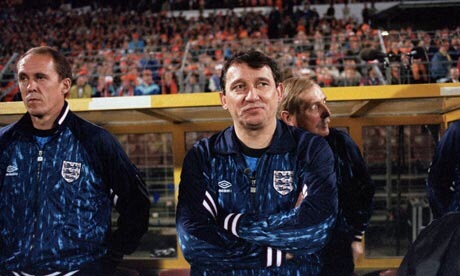 Taylor didn’t lose a match in his first year at charge and his side were beaten just once prior to Euro ’92. England qualified unbeaten for that tournament and during his reign they only lost once on home soil. Taylor could forever claim the controversial refereeing display during defeat to the Netherlands cost him both qualification and – as he told the linesman – his job. For all their disappointments in that campaign, England would probably have still got to the USA had Norway not suddenly emerged as a force. Four years earlier England had qualified for the World Cup by just the width of the crossbar against Poland in the decisive qualifier, Bobby Robson going on to depart a hero after reaching the semi-finals. Taylor would rue how things went against him that night in Rotterdam, plus the late equaliser conceded in the home meeting. It’s a game of fine margins and he knew once his side failed to make it to the USA that he would never get a chance to turn things around. Taylor might also have felt expectations were inflated to unrealistic levels when he took the job amid the post-Italia ’90 euphoria. The Impossible Job documentary about the qualifying campaign would lead to more mocking of Taylor, but the perception of him as a foul-mouthed individual was unfair. Yes the evidence was there that he used a lot of expletives, but it has to be put into the context of a man under great pressure and in an environment where “industrial language” is applied to get through to many players (if Gazza’s autobiography was anything to go by, then even Sir Bobby Robson frequently spoke in such a way when in a football environment). So many people who met Taylor say what a nice man he was, while his reign at Watford saw him work to achieve more than just success on the field. In an era when crowd trouble was rife, Watford were the ultimate family club – the staff putting on productions for young fans to enjoy and families happily flocking to games and sitting in the safety and comfort of a dedicated enclosure. He was also an early champion of black players, men such as Barnes and Luther Blissett thriving under him at Watford. As England boss he would also give a number of black players their chance at international level. That spell at Watford really brought Taylor to national attention, following an almost-invincible Fourth Division title success at Lincoln City. But as Watford rose from the Fourth Division to runners-up in the top-flight in just six seasons, not all the publicity was positive. His direct style attracted critics, Taylor being at pains to defend the approach. “I hate sophisticated football,” he told John Motson in one interview – and he could say with justification that the old-school directness worked well. But that criticism would seem gentle compared to what he had to endure, particularly from The Sun, in the second half of his England reign. ‘Swedes 2, Tunips 1’ was a witty headline. But much of what happened subsequently was anything but. The ‘Turniphead’ images became a nasty and tired joke, merely intensifying some people’s hatred of the man. Even when he resigned as manager there was a spiteful front page. It’s little surprise Taylor later rejected the chance to present a retirement gift to the responsible sub-editor. The son of a sports journalist, Taylor would have good reason to resent some of the individuals within the industry. After the public humiliation with England the easy option for Taylor would have been to go abroad for a well-paid, low-pressure job. But it was to his immense credit that Taylor would within months take the manager’s job at Wolverhampton Wanderers, becoming the first ex-England manager to manage again at club level on home soil (excluding Sir Alf Ramsey’s caretaker stint at Birmingham City). Although the Molineux reign was perhaps not as successful as hoped, Taylor did lead the side to the First Division play-offs. But it was a return to his spiritual home of Watford where he would really re-establish himself, the old Vicarage Road magic – with old mate Elton John again at the helm – resurfacing as successive promotions were achieved to take the Hornets to the Premier League. Although relegation was suffered the next season, Taylor could take pride in what he had achieved and feel he had proved some of his critics wrong. Even though he ‘retired’ in 2001, there was clearly still hunger there as he would the following year again take charge at Aston Villa. After all the flack he took as England manager, one might have thought the last people he would want for company were the English press. But his role as a radio summariser would regularly see him in their company, many sports journalists having tweeted what a nice man he was and how much he will be missed. Taylor’s assessments of matches were enjoyed by many. Former BBC TV commentator Barry Davies pondered in his autobiography whether, having heard Taylor’s analysis and read his thoughtful columns, things might have worked out differently for the manager if his chance with England had come later. With the benefit of hindsight he would almost certainly have done some things differently. Taylor was a patriot, pointing out that he was a fan at club level of Scunthorpe United and he grew up with England as his “big team”. He found it hard to grasp why others could not view the national team as such a priority. Tony Dorigo, who played under Taylor, tweeted last night that “there wasn’t a more committed Englishman and for that he had my admiration”. Like Bobby Robson before him, Taylor really longed to succeed with his country. It didn’t work out as hoped, but the man’s overall career and other qualities in life were appreciated by many. The many tributes paid in the last 24 hours are full evidence of that. RIP Graham, a good, honest man who will be sadly missed. 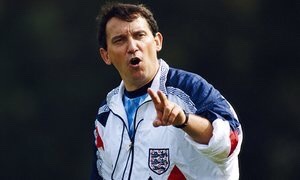 Previous Previous post: England’s qualifying campaigns: 1994 World Cup – did we not like that? Touching tribute. Many football people have the talent to be managers but possibly lack the belief and work ethic. Think of the guts it took to drag Watford up to a League Runners-Up spot? Or the FA Cup Final when it was our number one club priority? The “Do I Not Like That” stuff showed him in a bad light but he was a true football man as anyone connected to his former clubs will tell you. RIP.